I’m not sure where I got the energy, but today was pretty productive. One big job was getting the 17 yr old to help me clear abundant weeds and tree growth from our alley driveway. Since we don’t put our car in the garage, it’s been nearly a forest back there. I’d like to plant berry bushes and rhubarb there, since we don’t get full sun anywhere else on our property. That area looks so clean now… it was worth it, despite the grumblings of my son. More fun was making bottles of raspberry cordial and cranberry liqueur, and then 6 jars of raspberry freezer jam (we do have some raspberry bushes growing on the side of our garage in the alley). 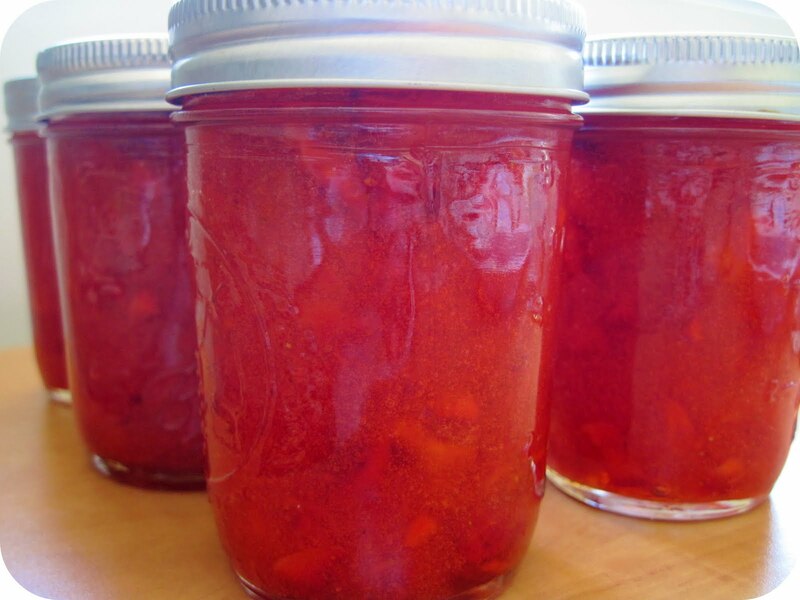 The liqueur will be ready in 3 weeks, the cordial in 6 weeks, and the jam will be ready when it’s cool. Seeing all those pretty red jars and bottles on the counter is just so satisfying, and it reminds me once again that I love Makin’ Stuff. 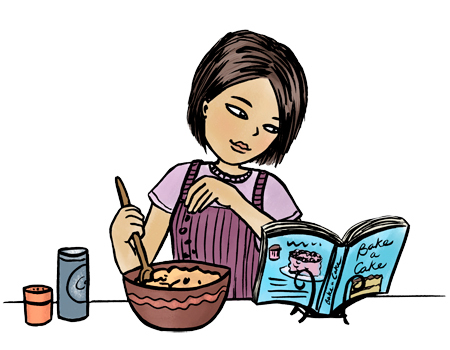 Cooking and baking is one way– trying out new recipes, baking bread, cooking from scratch. For years I’ve made most of our cleaning products– a “wonder spray” for cleaning surfaces, vinegar and water for shiny stuff, and I recently ran across a laundry soap recipe that would be fun to try. In the last year or so, I’ve been exploring how to make natural body products– I took a class where I learned to make some lotions, lip balms and salves, and I’ve made my own deoderant. And I never thought I would get into knitting– I saw other people do it and thought it might be too hard or too boring, but then I gave it a shot, teaching myself the basics with a knitting book for kids. I made a l-o-n-g red scarf, and it wasn’t boring but more meditative for me, and utterly satisfying to have made something! And then I discovered how much fun yarn shops are… all the colors and textures. I could go on about all the phases I’ve been through in my desire to Make Stuff, but for now I’ll just say, this is one of those things that makes me tick and thrills me. Maybe it started with popsicle stick sculptures in first grade, I don’t know, but for now, I’m grateful for the library (all kinds of books on Makin’ Stuff!) and the Internet (where you can find out how to make anything so easily). Oh, and my family, who put up with my experiments, even the ones that don’t turn out quite so well!